Slazem se s vecinom toga sto si nabrojao i ja planiram gledat. Ova sezona mi se cini vrlo dobra mislim da cu uzivati u puno toga. Mislis li gledat ista is winter sezone? General impressions were exactly what I was looking for. Hmm, no central antagonists, eh? What you’re describing sounds pretty close to the young witch subgenre that mahou shoujo originated out of. I’ve never watched anything like that before. It sounds like it would be an interesting experience. The length won’t dissuade me if I like the series. Would you mind sharing a bit of what you thought about Ojamajo Doremi? I’ve been a little curious about it for awhile and you’re the only person I know with a credible opinion who’s seen it all. I am sorry for the late response. Didn't find the time to sit down and write an answer. 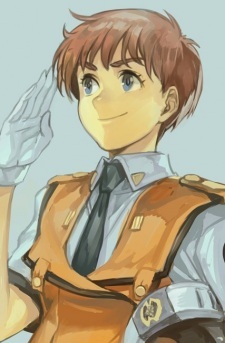 I just watched the film universe of Patlabor but right now I will catch up with the TV show. It seems very lighthearted and fun - like you said. Will keep that in my mind with Sanctuary and Sangokushi. Atm im reading older shounen and have a lot of fun with that. Reading Tezuka is (imo) always a good thing. He was my #1 favorite for a very long time. He still is one of my biggest favorite. But during this year I watched a lot of Oshiis work (patlabor and urusei yatsura + rewatches) and he connected with me. Oshiis film and his style is the thing I enjoy the most. Soundtrack, atmosphere and good dialogs with a bit slower pacing. Oh yeah. I'm reading manga for a very long time now and since 1 or 2 years im reading way more manga than watching anime or live action films. I love your avatar. Patlabor is great. Pretty cool manga favorites. Still need to read Sanctuary and Sangokushi. Got both of them on On-Hold for a very long time. Have you read a lot of Tezukas work because I see 2 of his work in your favorites? Both are very good and Adolf is in my top 10 of Tezukas Manga. You're welcome. It would be a shame if I forgot a fellow November baby. Slime isekai i goblin slayer su dosta dobri. Hinomaru Zumou mi izgleda kao neki stereotipicno shounen pa ga nisam ni proba gledat. I nisam bas nes za sportske anime. A Hinomarua nisam gledao pa nemogu ih usporedit.